Australia’s dairy and soy food market is forecast to be worth US $13 billion between 2016 and 2021 says one of the world’s largest data and insights provider, GlobalData. According to GlobalData, between 2016 and 2021, the industry is expected to have a compound annual growth (CAGR) rate of four per cent. GlobalData’s latest report says between 2011 and 2016, the industry’s CAGR declined by -2.8 per cent due to depreciation of the Australian dollar and slow wage growth. Despite the value decline during this period, volume grew by 2.1 per cent with consumers wanting bulk-buys and taking advantage of promotional offers. GlobalData analyst, Veronika Zhupanova, said the contraction of the market was a stern test for dairy brands and their ability to be flexible and adapt their products towards current consumer needs. “During a market downturn it is especially important to accurately read consumers’ requirements,” Zhupanova said. GlobalData says an improving economy and more favourable exchange rates are driving increased premiumisation in Australia’s dairy and soy market. Consumers are also more willing to pay more for products that better align with their dietary needs. Australians are soon expected to purchase more premium products across all categories, but especially so in the drinkable yoghurt category. “Brands should capitalise on Australian consumer’s readiness to trade-up in the Drinkable Yogurt Category and introduce novel formulations in order to stand out and catch consumer attention,” Zhupanova said. 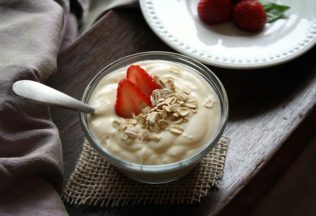 Yoghurt, butter and spreadable fats are the categories expected to have the fastest growth by volume and value between 2016-2021 says GlobalData. Demand for these products will be driven by consumer desire for healthy convenient snacking and on-the-go or work lunch options like yoghurt pots and sandwiches. “As consumers’ real or perceived feelings of time-scarcity is only going to grow, the demand for products which position themselves as both time-saving and also offering nutritious and healthy energy boosts will grow,” Zhupanova said.